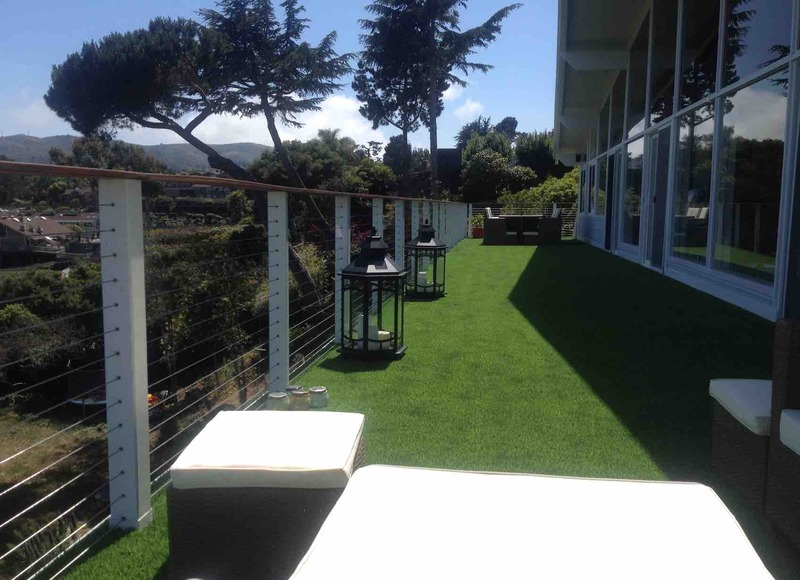 A friend here suggested putting artificial grass on our deck. 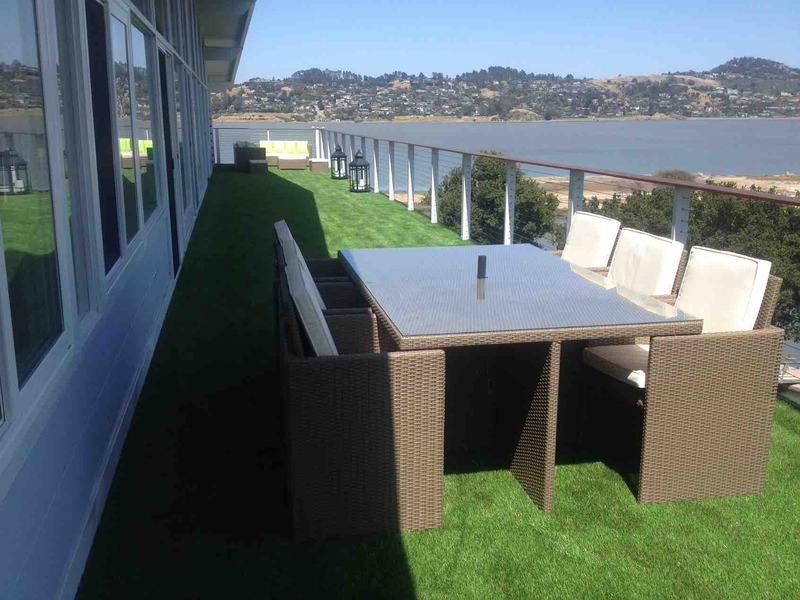 That’s clearly a bonkers thing to do, because grass doesn’t normally grow on decks. 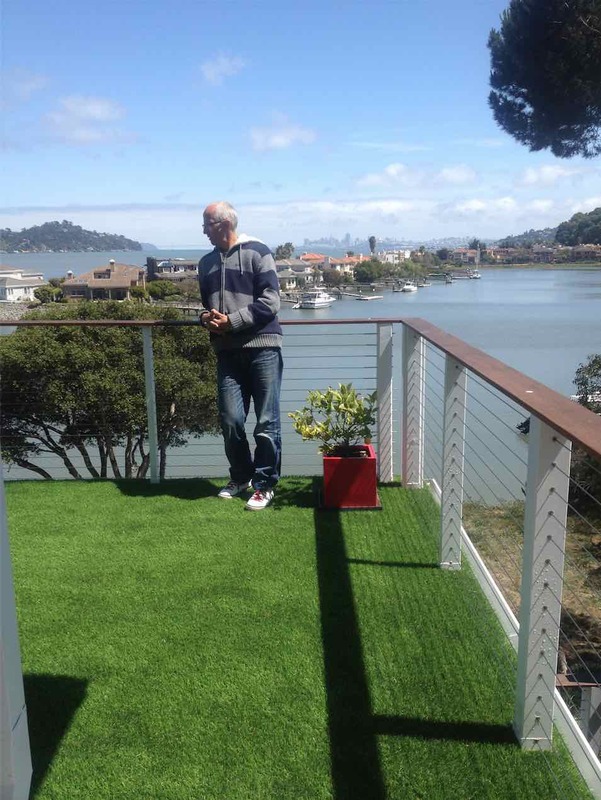 But in a state so starved of water that it’s a badge of honour to have a yellow or brown lawn, Ian not only seriously considered the idea of a grassy deck, but ran with it. It was either genius or lunacy. Now that it’s in place, it is weird seeing grass on the deck. But one of the things about Britain I miss is a grass lawn you can walk on barefoot (you don’t do that around here because there are deer everywhere and they leave ticks wherever they go). We have a lawn now, albeit weirdly positioned 100′ above the garden. 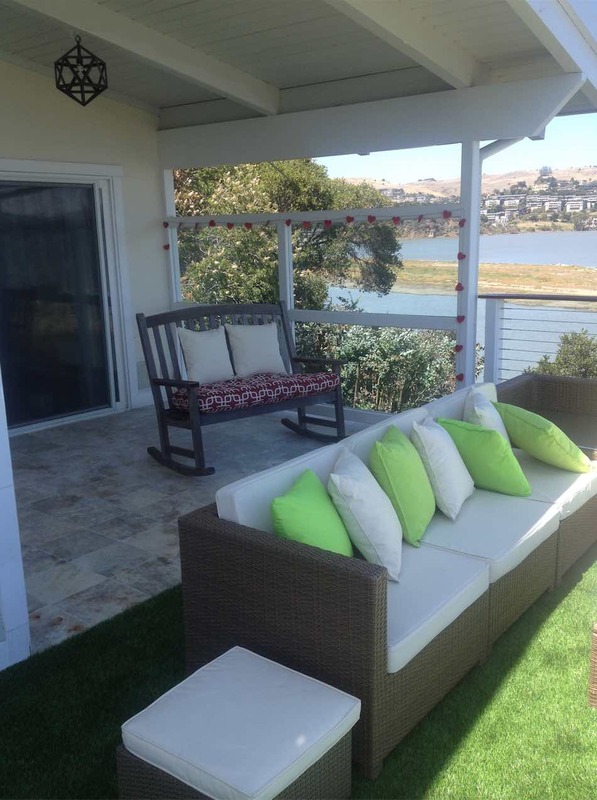 It adds a splash of colour to our enormous, sterile deck. It’s soft and welcoming. And, as a British friend said, every Englishman needs a lawn. This one doesn’t need to be mown. Our deck is now our little slice of England. Ian’s DIY craze has led him to tile the recessed area of deck outside our bedroom too. This is where we watch the city lights at night, snuggled in blankets if necessary.